Hey one of these ladies is going to be your new Miss SA come December in Sun City super bowl. They were on 3 Talk with Noeleen yesterday. And some of us didn't get a chance to see them. 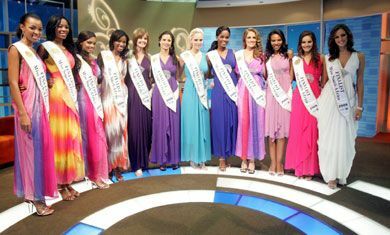 So here's 2009 Miss SA Top 12 finalist. Melody Zulu also entered Nokia Face of Africa that used to play on M-Net and she didn't win. I thought she was going to win because she looked good on what she was doing. But she does some modeling. I think she looks like Zama Ngcobo who was a SABC1 presenter. I like these two ladies I think Matapa looks like Uyanda Mbuli. Carol Makhathini is cute but short, i like Matapa too. Melody Zulu is got a hight but she closes her eyes when smiling which is a huge turn off. but all in all i can bet on Carol and Matapa. Ok Cheesa....May the best win although i dont know what do they do after winning.........They just get invited to every party. I never know their (Miss SA) real duty. LMAO myname, true that though!! I always wonder if beauty pageants are still relevant these days. I think there is no that much excitement that people used to have when it was Miss SA time. I think these beauty pageant things are slowly fading people are not that much interested or excited about the. I don't know why though. 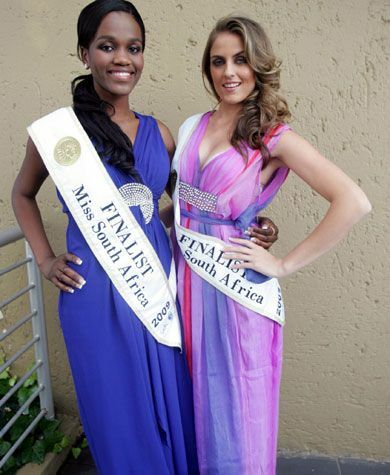 Look at Miss SA teen, they are no longer showing it on TV like they used to. They used to combine Miss SA Teen and Miss SA on the same day but now that doesn't happen. We just hear that Miss SA Teen has been crowned and we don't even know who she is. SO what does that say about these beauty pageants. All I can say is good luck to those ladies and the winner must enjoy the prizes. Myname what I know about Miss SA is that she must not date during her year of being Miss SA and she must not be seen with any man in public. Hence we saw Tansy Coetzee all over magazines with her teenage lookalike boyfriend after she took off the crown. Carol is just too short sorry man I don't think she will make because Miss SA has to do Miss World and Universe, have you seen how tall these people are???? May the best win although i dont know what do they do after winning.........They just get invited to every party. I never know their (Miss SA) real duty. Matapa is one ambitious girl bathong...she really wants to be MISS SA...the woman has been entering teh contest for the past hundred years...when does she expire kanti? But TANSEY COETZEE (Miss SA 2007) had a boyfriend, that kid ERIC PRINSLOO from YOTV Big Boys. Have a great evening great ppl. I know Tholi he is the guy I am talking about. She was not allowed to be seen with him public. She was not attending events with him like she is doing now. During that time they had to be sort of be like in a break for that year. But we don't know what was happening behind the cameras. After she took off the crown that was when everybody saw that Eric Prinsloo is her boyfie. Storrm I feel on the Mahlatse issue hayi ne, kanti you'll never know she might be the one who's going to be crowned that day. how many times did matapa entered the competition kganthe ? Does this Miss SA thing still exist??? Matapa must just win so that she'll stop entering the pageant.But look at how skinny her upper arm is,and the rib cage ya ga Carol,haai no,this can't be healthy! RC: Is the Khuse Family Cursed?